In order to webcast, you need a stable internet connection that provides at least 100kbs upload bandwidth (which means dial-up connections will not work). If you plan to have more than one or two people in a skype call, you will probably need a bit more than that. You can test your bandwidth at AuditMyPC.com , AuditMyPC.com ,or speakeasy.net . You can install NetMeter on your computer to measure and collect real time data on your upload and download speeds. Soundcard - you will need a soundcard that has 'stereo mix', 'What U Hear', or 'Wave out mix' as a recording option. Many recent Dell computers do not come with this option, but you can find information about a work around here. Non-usb headsets or USB headsets that do NOT have the two separate inputs for mic and ear piece will not work and may cause severe anxiety for webcasters attempting to use them! Actually, with some soundcards it may be possible (as shown in this screencast), but echo issues have always prevented this from being a viable option. If you can demonstrate otherwise, please let us know. Computer Specs - There are no other fixed minimum hardware requirements, but webcasting with anything less than 512kb RAM or the equivalent of a Pentium 4 would probably be pretty difficult. Telephony Program - we use Skype for demonstration purposes, but Oovoo, Gizmo, Yahoo Messenger, Google Talk, Jajah, & others will work as well. Audio Recorder & Editor - there are others out there, but we primarily use Audacity - it's open source and works quite well. Streaming Program or Service - If you're going to stream to a Shoutcast or Icecast server, you will need to install a program like Simplecast, SamBroadcaster, Oddcast, or Winamp. There are an ever increasing number of Live Streaming services such as Ustream.tv , MogulusYahoo Live,BlogTV ,Justin.tv Livevideo.com,Kyte.tv that will allow you to stream live audio (and video). The major challenge of producing a live interactive webcast is capturing both ends of a telephony call in a way that it can be streamed. If all you want to do is record both ends of a call without streaming it, there a number of programs that can be used (see this page for more info). To do so in a way that allows the audio to be streamed live, it is necessary to use an audio bridging tool like Virtual Audio Cables along with the hardware described above. There are other ways to do this, additional hardware and/or software is usually required. If using a USB Desktop mic, plug it in to any USB port. Plug any headset into your standard speaker jack. If using a USB headset (with separate jacks for mic and earpiece), plug it into any USB port, remove the earphone jack and plug it into the standard speaker jack as shown below. Configuring your computer so you can capture both ends of a telephony call. Parts of this will vary from computer to computer and it is possible that webcasters will need to go through some trial and error to get this working. The most common places to alter settings are your Windows Volume Control, Sound & Audio Device Settings, & your Telephony audio settings. 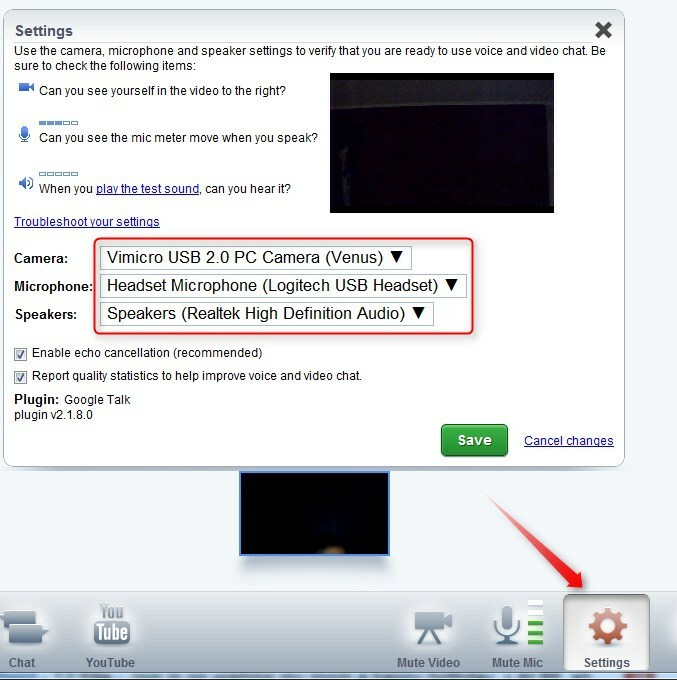 By default, most computers are set up to record from your microphone. This needs to be changed. Using Windows Volume Mixer, set the Recording Control Properties of your soundcard to 'stereo mix' , 'What U Hear', or 'Wave Out Mix'. With some sounds cards you will select his item, with others you will make sure it's unmuted'. In Sound & Audio Device settings, select your sound card as the recording device in the 'Audio' and 'Voice' tabs. Open Audacity. In Edit/Preferences/Audio I/O , select your sound card as your recording device. Open the Audio settings of your telephony program. In Skype, it's under Tools/Options/Audio Settings. For microphone, select your USB microphone. Install Virtual Audio Cables (the trial version will work for experimentation purposes, but to produce actual webcasts, you will need to purchase the full version (US$30). Go to Virtual Audio Cable in your start menu and click 'Audio Repeater'. In the 'wave in' section, select your USB mic. In 'wave out', select your sound card. For total buffer, select 100. You can experiment with the other settings, but it shouldn't be necessary to change any of them. Press 'Start'. Open the Audio settings of your telephony program. In Skype, it's under Tools/Options/Audio Settings. For microphone, select your USB microphone. Call someone (you can call skype lady at 'echo123'). Press record in Audacity, and you should see that you are recording audio when you speak and when the other person speaks. If so, you're ready to move on to streaming. If not, let the troubleshooting begin. Once you've succeeded in capturing all audio on your computer, there are several ways to stream this audio so others can hear. Free streaming Services - an ever-increasing number of sites like Ustream.tv, Mogulus, Yahoo Live, BlogTV, Justin.tv, Livevideo.com, and Kyte.tv allow users to stream for free. Most of these are video based, but can be used to stream audio only. Worldbridges Shoutcast & Icecast Streams - after participating in the Webcast Academy, 'interns' can apply for webcasting permission from any streaming community that is part of the network. In order to stream to a shoutcast or icecast server, you need to install a streaming program on your local computer. Examples include Simplecast , SamBroadcaster, Oddcast, & Winamp. It is worth noting that online presentation tools like WizIQ and DimDim (free) and Adobe Acrobat Connect and Elluminate (very not free) can also be used to facilitate online conversation and do not required the audio setup described above. Simplecast is a commerical program available from SpacialAudio.com. that can be used to stream to a shoutcast or icecast server. There is a free trial version that does not expire. Open Simplecast. Click 'Start'. Then, click 'Config' and on the 'General Options' page, select your sound card under 'Capture Sound from Device'. Click OK.
You should now see volume meter movement on the right side of the main Simplecast Window. Click 'Encoders'. Click the '+' sign to add an encoder and choose either 'mp3 and mp3Pro' or 'Legacy mp3'. In the 'Converter' tab, select a format. Higher bitrates (kb/s) will result in higher quality audio with less stream delay, but may cause problems for those with relatively slow internet connections. In the 'Server Details' tab, choose the appropriate server type, and enter the access information for the server you're using. In the 'Stream Archive' tab, check 'save stream to file' and browse to find the directory in which you'd like to save the recording. When you're ready to stream, RIGHT click the encoder and click 'start'. You should now be streaming. To check the stream, go to the 'listening' page for that stream (i.e. 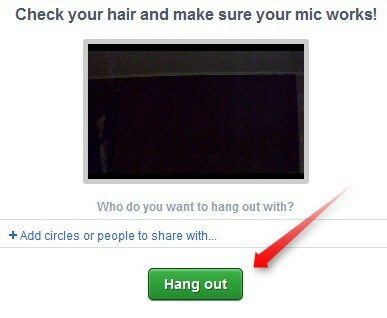 WebcastAcademy.net/live ) and click one of the media player icons. You should be able to hear what is being streamed (with a 20~60 second delay). 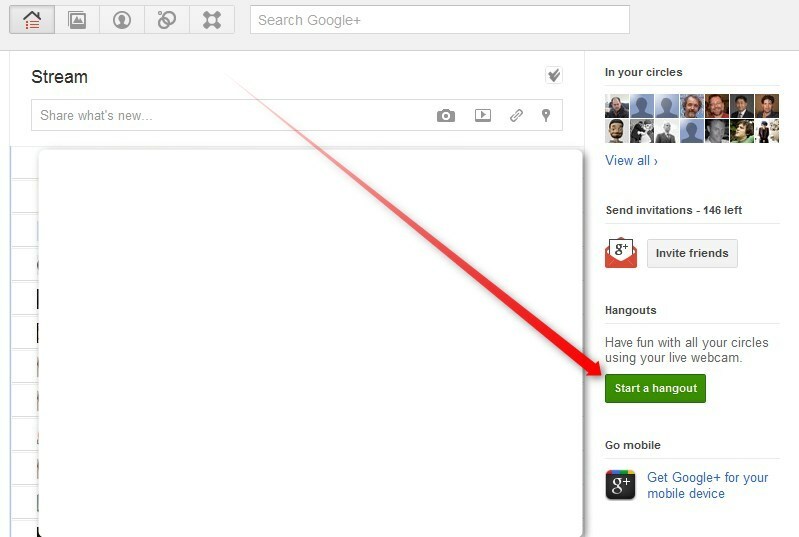 Then click 'Broadcast Now' or if you've created a show, click 'My Shows' and then 'Broadcast Now'. Either way, the Broadcaster window should pop up. Click 'allow' when the Adobe Flash Settings window appears. Uncheck 'video broadcast' unless you plan to stream video. Select your soundcard where it says 'Audio Source'. Maximize audio quality unless you notice bandwidth problems. Check your Ustream Volume setting to make sure it isn't peaking too much (volume meter will show red if so). There are additional settings and tools you can use toward the bottom of the window (Advanced settings, create poll, cohost, etc.). 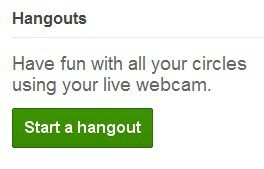 To check your stream, go to your Ustream listen page (i.e. Ustream.tv/webcastacademy) or anywhere you've embeded the Ustream player and click the play button. You'll get some echo when listening, but should be able to hear what is being stream with very little delay. Tools and methods used to webcast are constantly evolving, so the information above will likely be out of date soon. For updated information or to ask questions about webcasting, please visit WebcastAcademy.net.